Electronic Projects Wireless very cheaper. 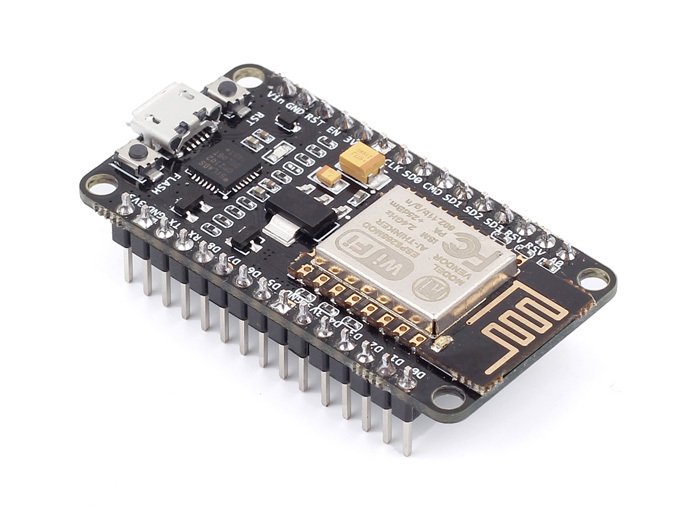 The device I want show you is this... node MCU , more cheaper than Arduino, more powerfull and Wireless connection, the way to program is the same like Arduino, very very easy. I'm triying to connect with GLbasic (you can use sockets ( I don't have skills about this)) but sure GLbasic can connect with the device without too much complications. If you are interested in Ebay or China you can find very very cheaper, the cost is about 4 ~ 8 Euros. Re: Electronic Projects Wireless very cheaper. But really for the price and the things can do is really interesting, I think is a nice device for get again the PamlPre and do something.